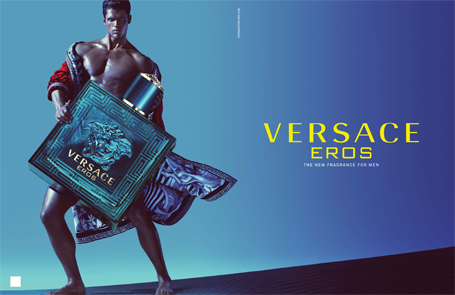 Exceptionally virile, passionate and intense, Versace Eros presents a tale of masculinity abound. A fragrance that alludes to ancient Greek mythology and the god of love. Driven by beauty and desire, he is a master of himself, dominant and magnificient. The Versace Eros scent is simple and distinctive, translating the primal desire between men and women in notes of mint, citrus, tonka and amber, and finishing with the triumphant seduction of vanilla and cedarwood.